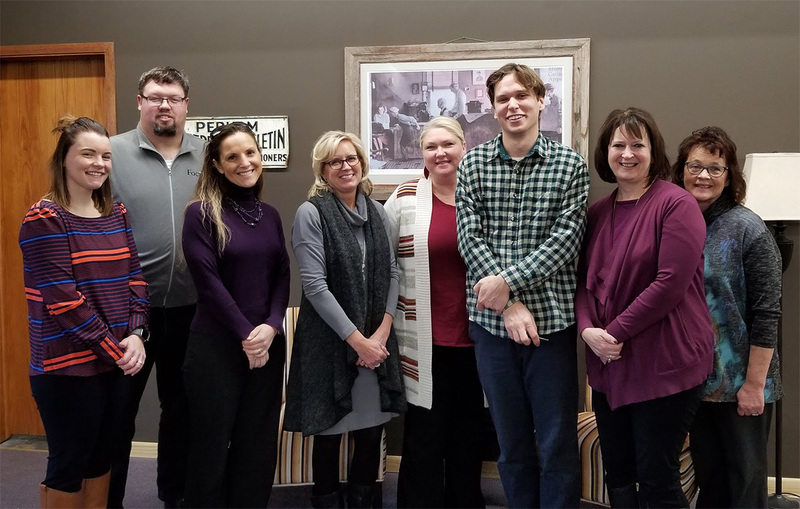 The Perham Area Chamber Ambassadors recently visited the Perham Focus in their new office space at 300 West Main Street (Suite C) in Perham. (In the Ma’s Little Red Barn building.) Perham’s weekly newspaper covers news, sports, community, events and more. To contact the Perham Focus call 218-346-5900, e-mail editor@perhamfocus.com or click here to follow along on Facebook. 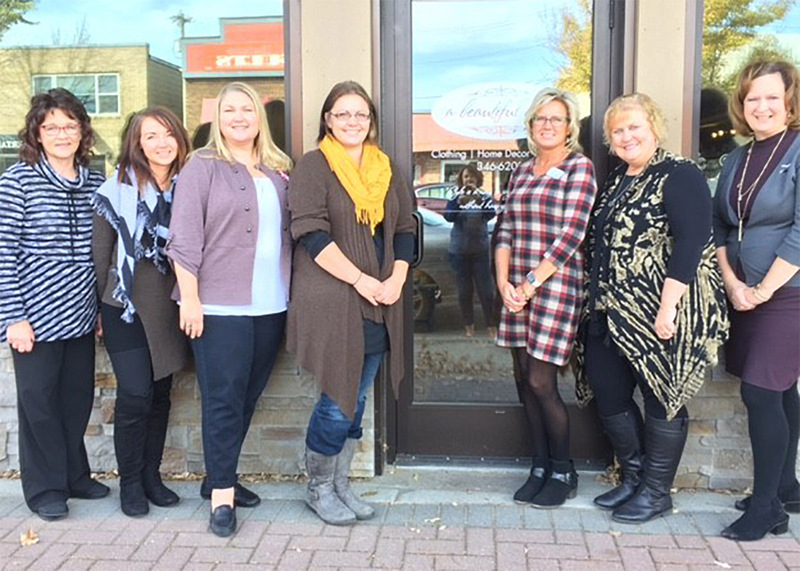 The Perham Area Chamber Ambassadors recently visited the new Sitting Pretty located in downtown Perham. The shop is owned and operated by two home town gals. Their only goal is to have you leave the store with your wallet and your wardrobe…Sitting Pretty! Check it out at 114 1st Avenue South in Perham, or call (218) 346-5588 for more information! 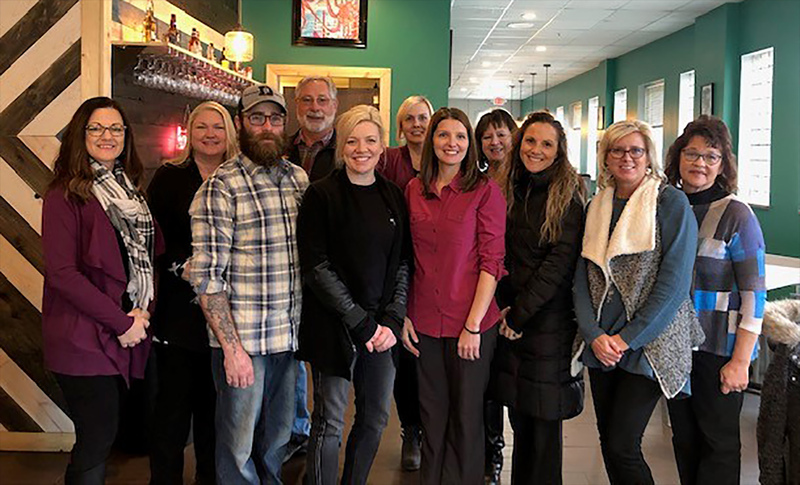 The Perham Area Chamber Ambassadors also visited Perham’s newest restaurant, Pine Island Fish Company which specializes in seafood and unique flavors. Owners Kellie and Jake Smith are excited to offer you a new dining experience with plenty of options and lots of variety ranging from the normal fare to fun alternatives. Stop by 165 West Main Street for a delicious food experience, call 218-346-2277 with questions, or click here to visit online. For daily specials and updates, follow along on Facebook @pifco218. 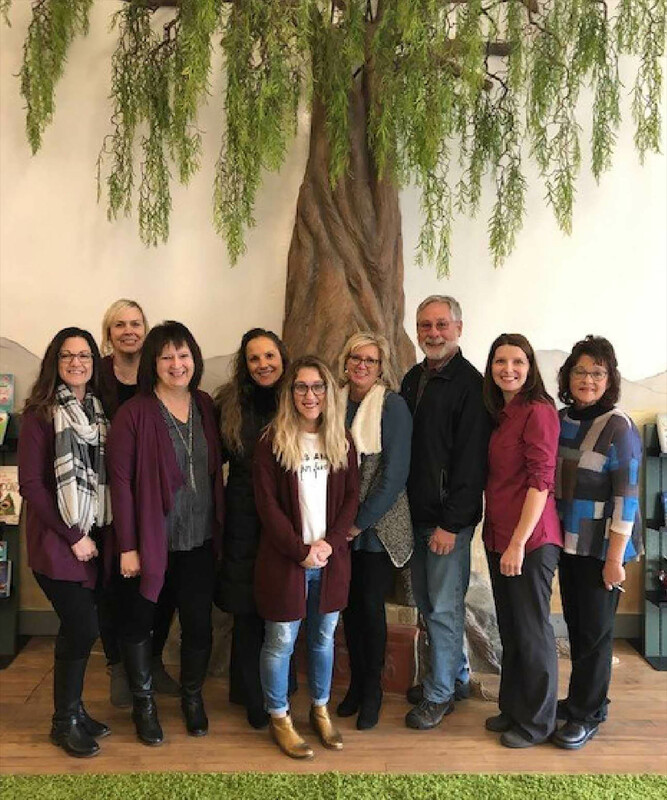 The Perham Area Chamber Ambassadors recently visited the new Willow Bookstore located in downtown Perham. In addition to adult and children’s books, the store features gifts and other fun, bookish merchandise. To pick up a good book, stop in at 126 West Main Street, call 218-457-0402, or click here to check out their website! 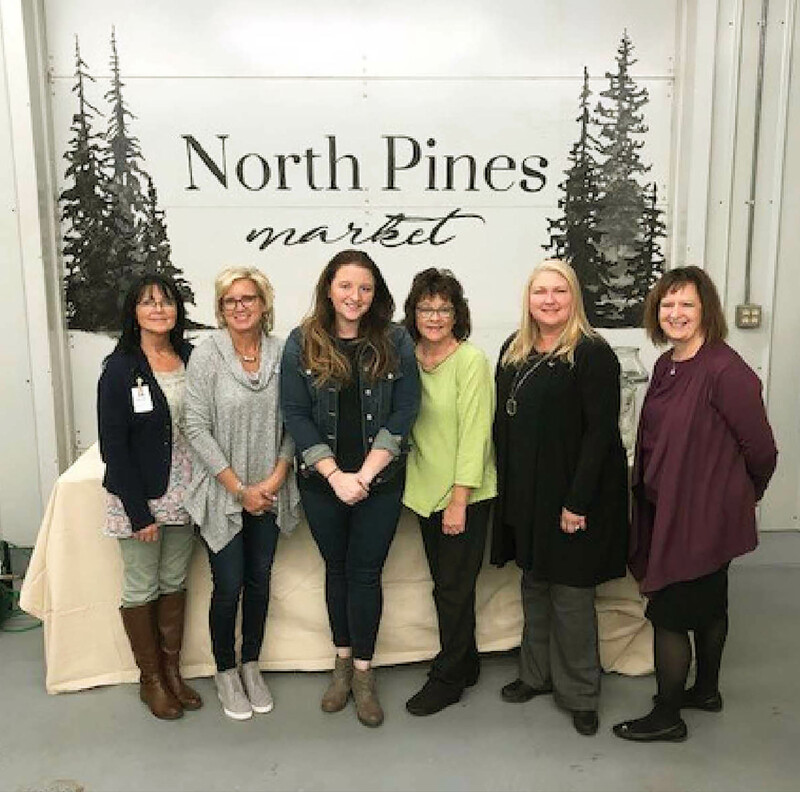 Perham Area Chamber Ambassadors visited the new North Pines Market located in downtown Perham. Stop in to shop at 120 East Main Street, call 218-346-2202 or follow on Facebook to hear about crafty classes and upcoming events @NorthPinesMarket. 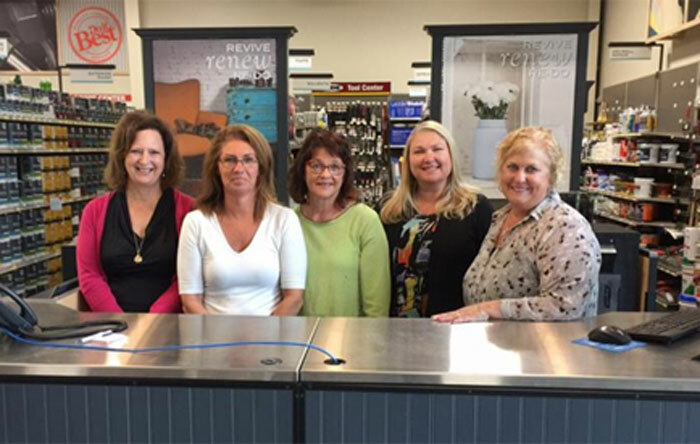 Pictured: Evie Fowler (Medical Accessories), Sandy Palubicki (Chamber Rep), Veronica (Owner), Deb Anstadt (Bremer Bank), Shiloh Cariveau (Central MN Credit Union), Lisa Glynn (United Community Bank). 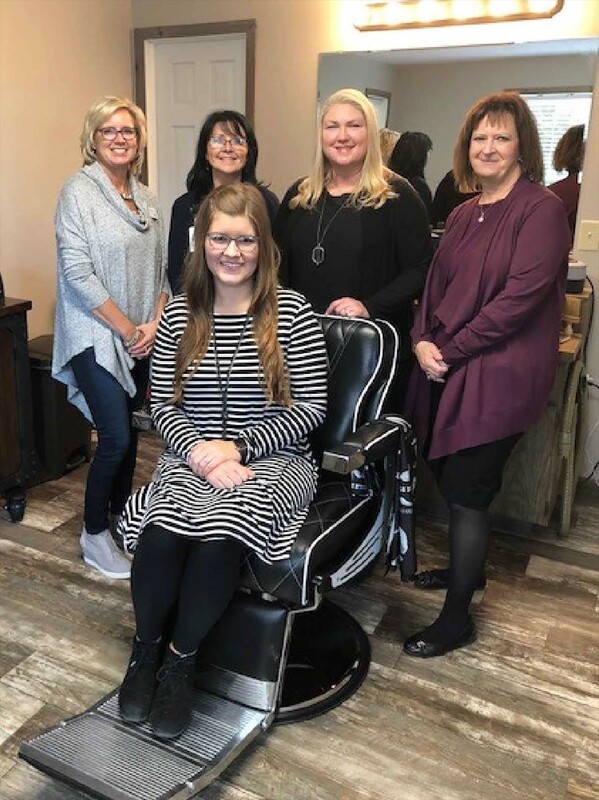 Perham Area Chamber Ambassadors recently visited the Richville Barbershop. Owner Trisha Kawlewski opened her shop at 36548 Jeff Lake Road, a short distance south of Richville. She specializes in haircuts, beard trims, shampoos and straight razor shaves.Call 218-457-1471 for an appointment or click here to follow on Facebook. 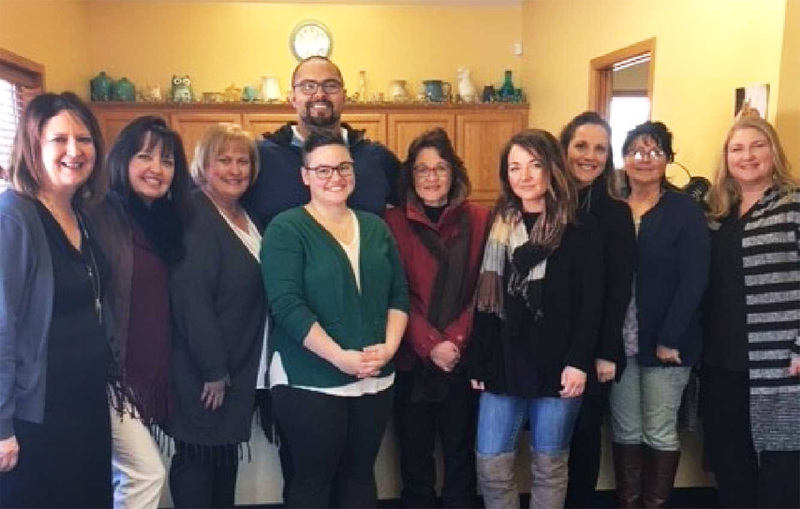 Pictured: Owner Trisha Kawlewski, Sandy Palubicki (Perham Area Chamber Rep), Evie Fowler (Medical Accessories), Shiloh Cariveau (Central MN Credit Union), Lisa Glynn (United Community Bank), and Deb Anstadt (Bremer Bank). 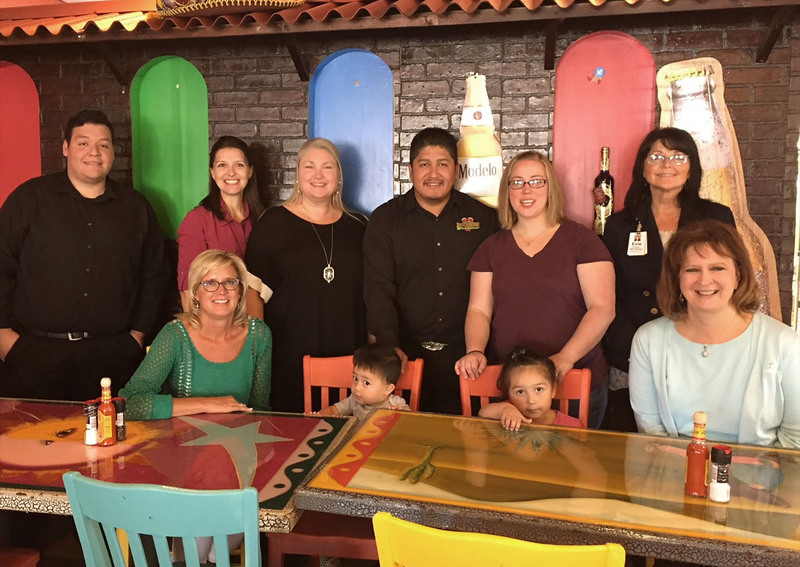 The Perham Area Chamber Ambassadors recently visited the new Las Ranitas Mexican Restaurant in Perham. Owners Luis and Heidi Ortiz, and manager Jorge Galvan invite you to stop by 121 2nd Ave SE to taste their authentic Mexican food. Las Ranitas is open 11am to 9pm Sunday through Thursday and open until 10pm Friday and Saturday. Call (218) 346-9207 with questions or check out their Facebook page @Las Ranitas Perham,MN for a complete menu! 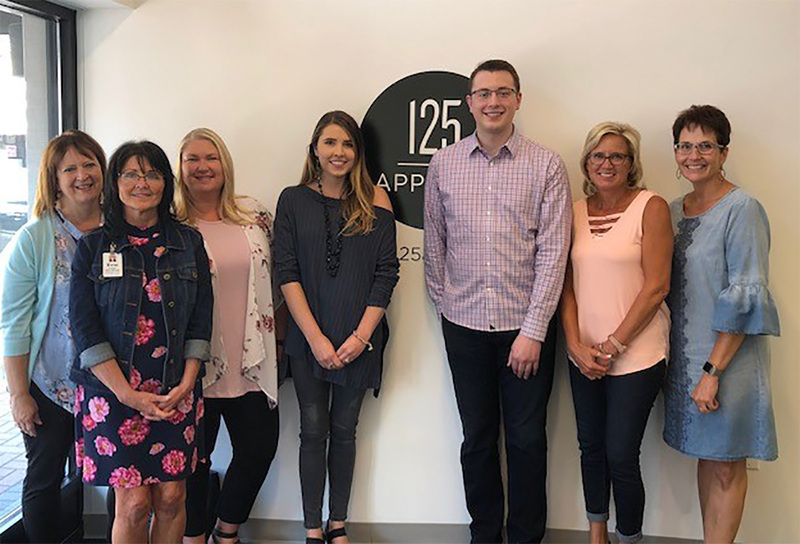 The Perham Area Chamber Ambassadors recently visited 125 Apparel located at 125 First Avenue South in Perham. To experience uncompromising style, call (218) 347-0125, shop in-store, or click here to shop online. We are excited to have you as a part of our community! 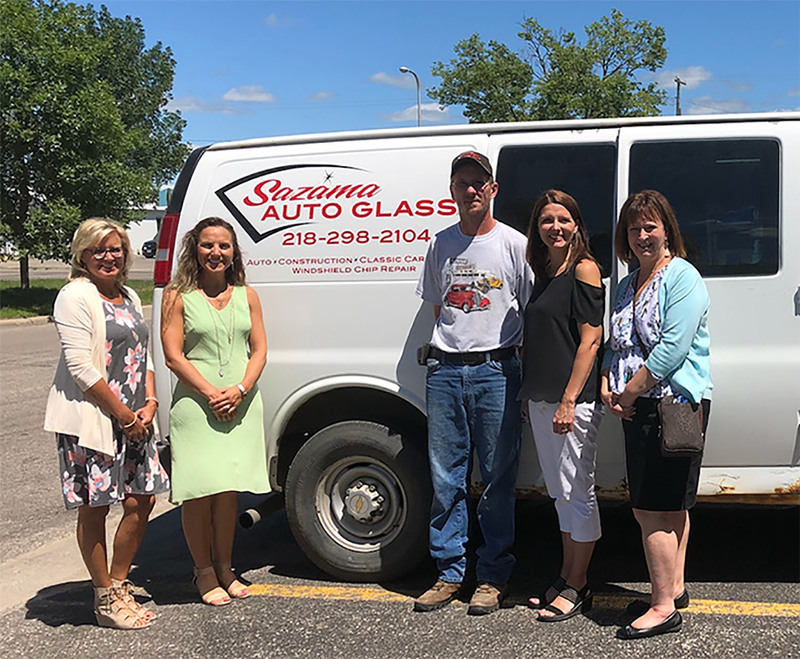 Perham Area Chamber Ambassadors recently visited Shawn Sazama the owner of Sazama Auto Glass. Shawn specializes in on-site windshield chip repair and glass work on autos, construction, classic cars, and farm machinery. Call Shawn at 218-298-2104 to make an appointment. Or click here to follow on Facebook. 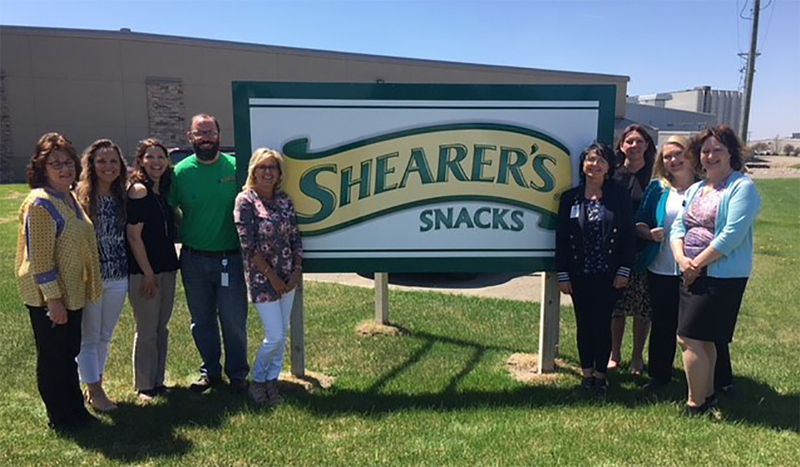 Perham Area Chamber Ambassadors made a visit out to Shearer’s Snacks. Shearer’s Foods, LLC. Is the largest producer of private label salty snacks in North America and the largest producer of kettle cooked potato chips in the world. For more information visit online at www.shearers.com. 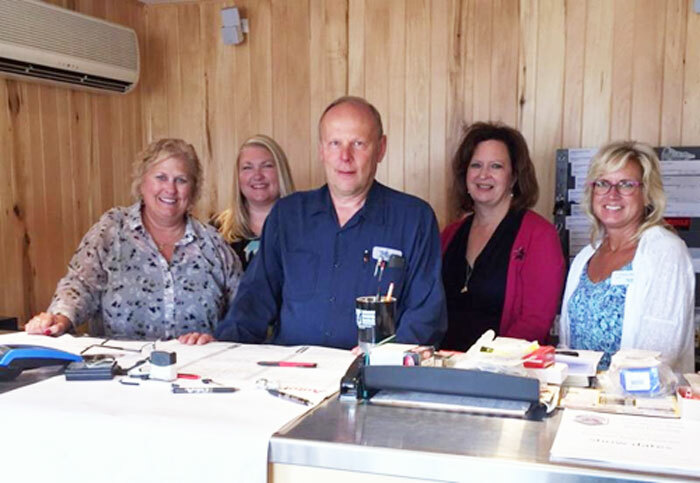 Perham Area Chamber Ambassadors recently visited a new business in town, Perham Car Care Center. Perham Car Care Center is a full-service auto repair shop specializing in tires, alignment, brakes, tune ups, engines, transmission, drivetrain repair and much more. For an appointment, stop by 240 7th Ave. NE in the Perham Industrial Park, or call 218-346-7299. 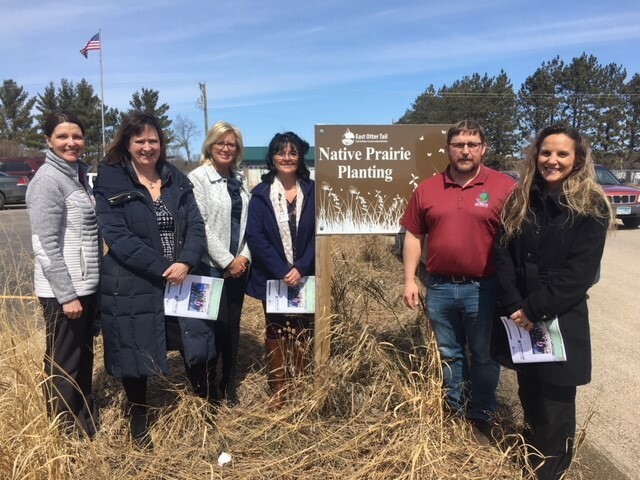 Perham Area Chamber Ambassadors recently visited the East Otter Tail Soil and Water Conservation District (EOT SWCD) at 801 Jenny Ave SW in Perham. The SWCD works with individuals, organizations, businesses, and local state and federal agencies to provide: educational presentations, coordination of local conservation initiatives, obtaining and management of grant funds, technical and financial assistance, and designing and installing conservation practices. For more info call 218-346-4260 x 3 or visit online at www.eotswcd.org. 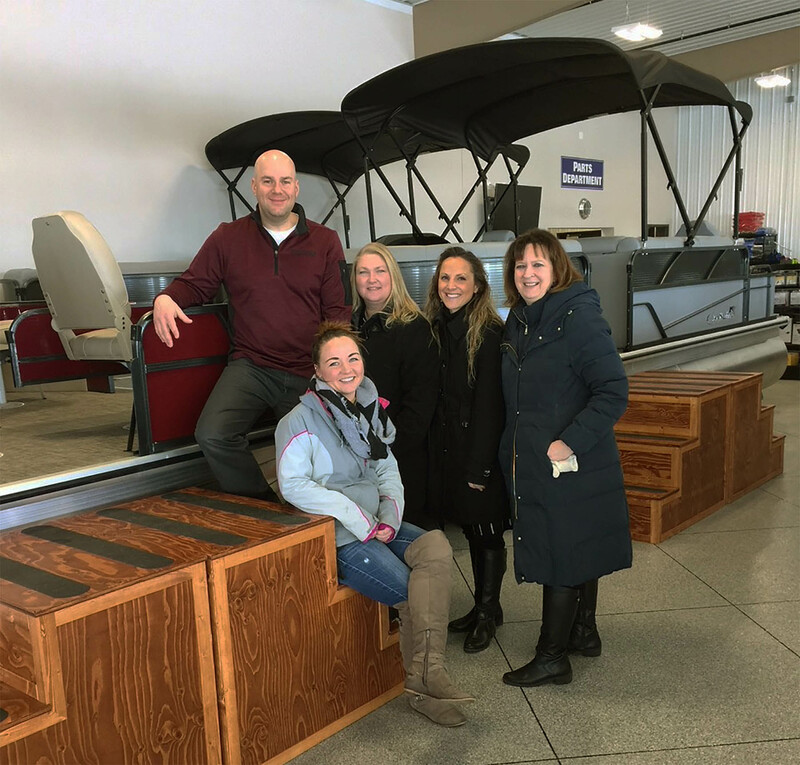 Perham Area Chamber Ambassadors recently stopped by Ray’s Sport & Marine’s brand new location at 937 Market Street in Perham. For more information, click here to visit their website, and don’t miss their Grand Opening & Boat Show March 8-10, 2018! 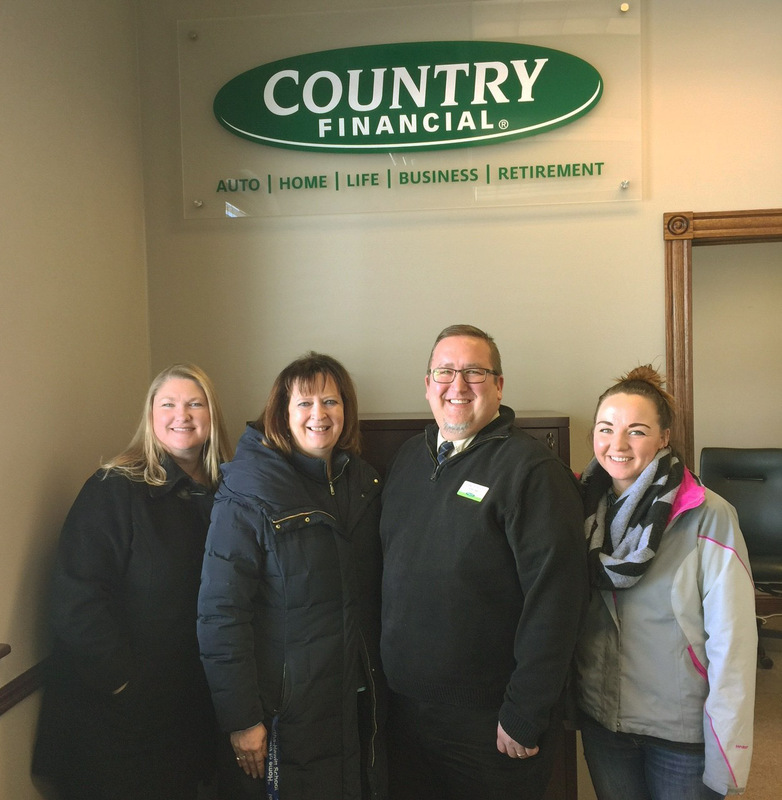 Perham Area Chamber Ambassadors recently visited Bert Doll at Country Financial. Country Financial specializes in Auto, Home, Life, Business, Retirement & Investment needs. For more information or to make an appointment stop by Bert’s office at 245 West Main Street in Perham, or call 701-306-1161. 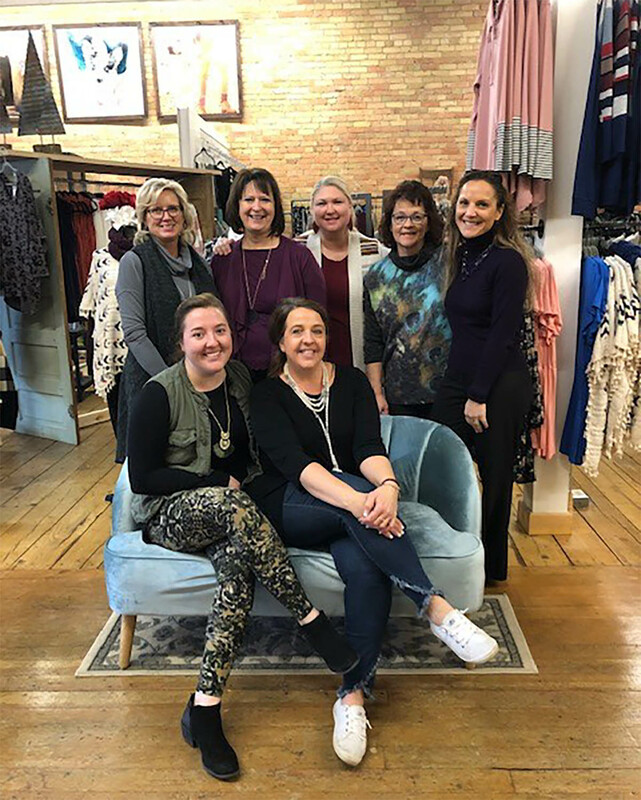 Perham Area Chamber Ambassadors recently visited A Beautiful Mess (formerly Second Chance Boutique) now owned by Ashley Christiansen. Ashley does not plan to change much about the shop right away, just the name. As she gets up and going, she will slowly be changing the boutique, adding her little flair decoration-wise and product-wise, but she also plans to add an online component to the store. To learn more, visit the shop at 120 East Main Street, next to The Brew in Perham, or click here to check out her Facebook page. 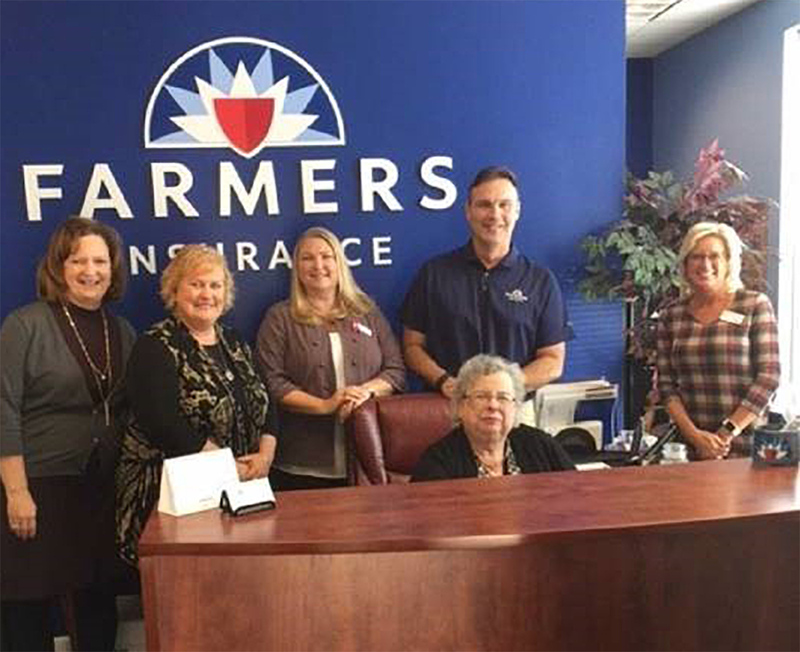 Perham Area Chamber Ambassadors also welcomed new Perham Area Chamber member, Farmers Insurance – James Matter Agency. With offices at 235 Main Street West, Suite B, in Perham, the James Matter Agency serves the Perham area with Home, Auto, Life, Business, Recreational, Motorcycle, and Umbrella Insurance. To learn more about their industry-leading products and first-rate services call (218) 346-2235, email jmatter@farmersagent.com or visit their website at www.farmers.com. 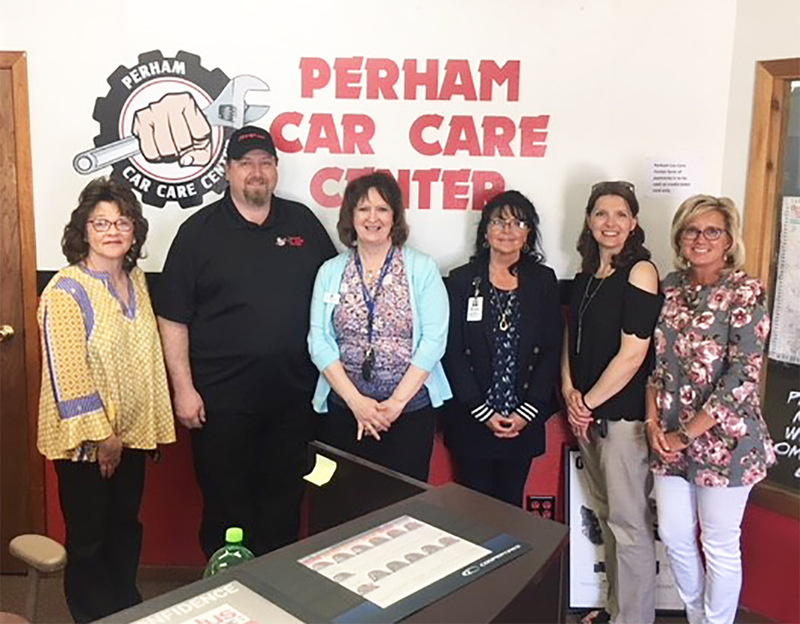 The Perham Area Chamber Ambassadors recently visited Perham Auto Repair Company located at 43823 Fort Thunder Road in Perham. You can count on Mike Yocum and his staff for all your vehicle repairs, large or small. To make an appointment call (218) 346-4875 or email perhamautorepair@arvig.net. Perham Area Chamber Ambassadors also visited Hilltop Lumber at 108 West Main Street in Ottertail. Hilltop Lumber is your complete building center providing lumber, windows & doors, siding, decking, kitchen and bath cabinets, design & drafting services, and so much more. They are open Monday through Friday, 7am to 5pm, and Saturday 7am to noon. 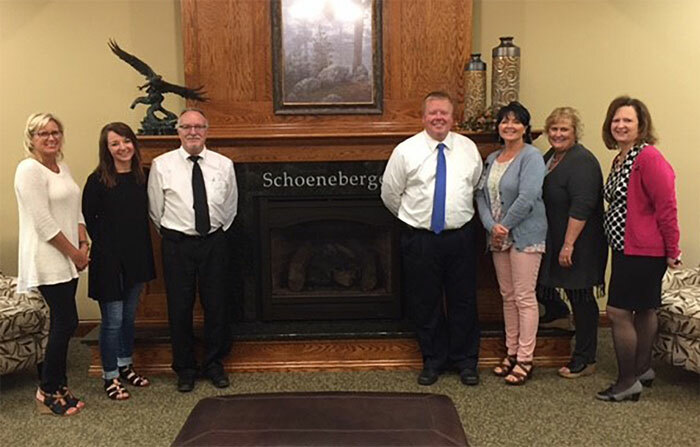 The Perham Area Chamber Ambassadors recently visited Schoeneberger Funeral Home in their new facility and new location at 100 Jake Street in Perham. Schoeneberger Funeral & Cremation Service is committed to providing you and your family with meaningful ceremonies to help memorialize your loved one. They assist families in creating a personalized service, allowing family and friends to come together to remember, to honor, to support each other and to celebrate a life that has lived. 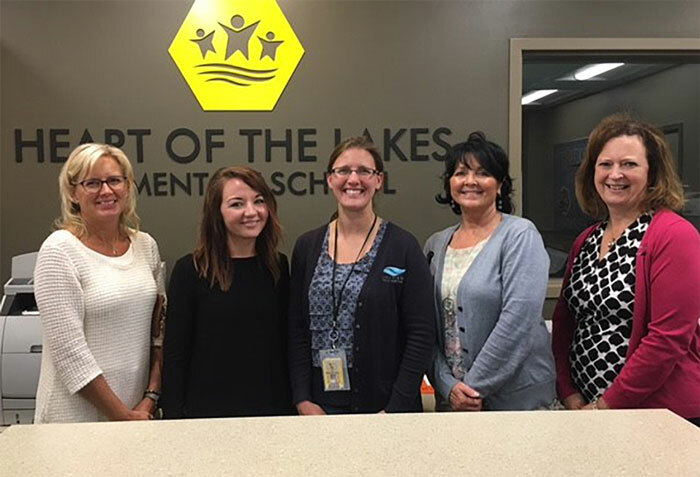 Perham Area Chamber Ambassadors also visited the Heart of the Lakes Elementary School for a tour of the newly completed facility. Heart of the Lakes Elementary is a Pre K – 4th grade school with approximately 600 students. They are committed to small class sizes and teachers developing strong relationship with their students and families. The school has been recognized the past two years as a Celebration Eligible School by the Minnesota Department of Education.